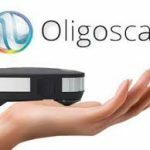 The Oligoscan device allows a check up of minerals and heavy metals . This new approach is noninvasive and reliable. It allows to measure, in 1 minute, the bioavailability of minerals, the trace elements and the risks factors of heavy metals. This is possible by measuring spectrophotometric values taken at the level of epithelial cells of the hand. It is a quantitative analytical method that measures the absorption or the optical density of a chemical substance. The basic principle is that every chemical absorbs, transmits or reflects light (electromagnetic radiation) on a certain range of wave length. The higher the sample density, the more it absorbs the light, within the limits of proportionality stated in the Beer-Lambert law. The detailed report is made available in a pdf version sent by email. The negative impact of heavy metals on the human and the animal organisms has been proven by many studies published from research institutes, the WHO, the FAO and other organisms. The massive exposure to these toxic agents is becoming a public health concern. Carried by air pollution, earth and water (water tables or sea water), the heavy metals end up contaminating the human body by direct contact or indirectly through the food chain. Some of these substances can be also found in products in direct contact with the organism. Health Watch Institutions consider that nearly the World’s entire surface is concerned with this contamination. The elimination of these toxic metals from the human body, made possible by appropriate chelators’ agents, is becoming a major health challenge. At the same time, some studies are warning us of another problem. They highlight the sometimes dramatic impoverishment of nutrients found in the food products, along with an increase of food additive. These two factors can interfere with our body in various ways. Food complements can promote the good functioning of our organism and represent a major asset to remain in good health.